Raymond M. Dall’Osto is a partner at Gimbel, Reilly, Guerin & Brown in Milwaukee, specializing in criminal and white collar defense cases in federal and state courts, civil litigation, employment and constitutional rights cases. His practice also includes representing health care providers, public officials, law enforcement officers and licensed professionals in government investigations, disciplinary and licensing matters. He received his law degree from Marquette University Law School in 1977 and taught there as an adjunct professor from 1985 to 1990. 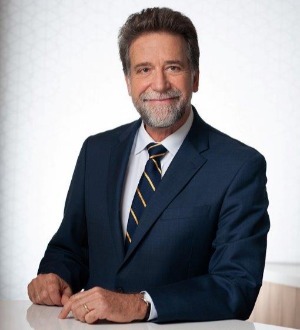 Mr. Dall’Osto has served as legal director of the Wisconsin ACLU, and in the 1980’s, as a felony trial attorney and director of the Public Defender office in Milwaukee. He also has served as a director, officer and chairman of the Wisconsin State Bar Association’s Criminal Law Section, the Individual Rights and Responsibilities Section and as a member of the Professional Ethics Committee. Mr. Dall’Osto was appointed and served on the Wisconsin Legislature’s Wrongful Conviction Task Force, which held hearings and developed significant criminal procedure reforms, which were enacted in 2005 Wisconsin Act 60. In 2006, he spoke on implementing more fair and reliable identification procedures at the Loyola national Symposium on Eyewitness Identification, and he is active in criminal justice and sentencing reform efforts. For over thirty years, Mr. Dall’Osto has developed, presented and frequently lectured at continuing legal education programs and has written extensively on criminal law, constitutional rights, justice reform and legal ethics. Mr. Dall’Osto is listed in both Best Lawyers in America and Super Lawyers. His law firm’s website is - www.grgblaw.com and his email address is - dallosto@grgblaw.com.